TALLAHASSEE – Gov. 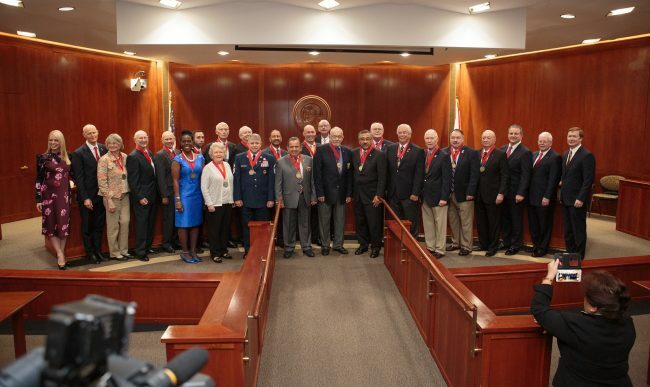 Rick Scott and the Cabinet voted unanimously to induct 20 individuals into the Florida Veterans’ Hall of Fame during the Dec. 4 Cabinet Meeting at the Capitol. The Florida Veterans’ Hall of Fame recognizes and honors those military veterans who, through their works and lives during or after military service, have made a significant contribution to the state of Florida through civic, business, public service or other pursuits. It is not a traditional military hall of fame, as it focuses on post-military contributions to the State of Florida.